Founded more than 135 years ago on the principle that strong banks make strong communities. BancorpSouth soon learned that the reverse is also true: Strong communities make strong banks. To be the leading financial services company in our markets, close to the customer and focused on the communities we serve. To maximize shareholder value through consistently strong earnings performance, strong market share, and maintenance of high quality assets. 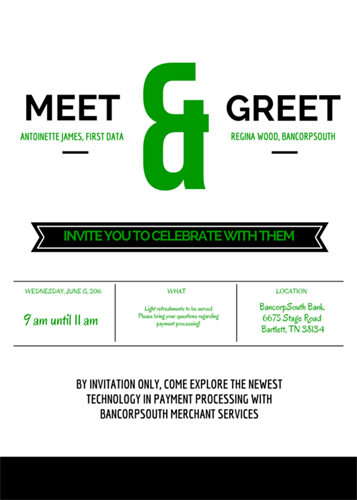 To continuously transform BancorpSouth into a more diverse and comprehensive financial services company. To be our customer's provider of choice for financial services; a multi-faceted relationship providing value to both the customer and our company. To provide an inspiring career opportunity for dedicated professionals. A complete menu of financial services and banking products, including online checking, mortgage services and a host of small business tools. Our branch is located on the southwest corner at the intersection of Stage Road and Kirby Whitten Road. The physical address is 6675 Stage Road, Bartlett, TN 38134.